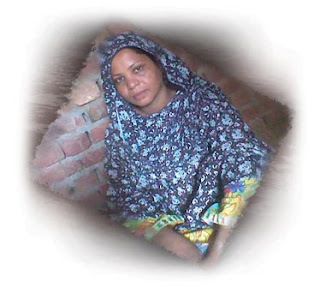 Asia Bibi, a Christian wife and mother sentenced to die for allegedly committing blasphemy against Islam, says she has forgiven those who are persecuting her (for more, click here). She recently told a Pakistani journalist, who asked her a list of questions prepared by an American journalist, that she spends her time praying and fasting for her family and other persecuted Christians. Asia is confined to a cell and is allowed to go outside 30 minutes each day. She sees her two daughters and husband one hour each week. Asia told her interviewer one of the prison workers recently tried to strangle her, and she must prepare her own food since it is feared she will be poisoned if workers in the prison prepare it. Life for All is supporting her family and has hired a lawyer to try and overturn the conviction. She says she is hopeful that she will be released, but there is a bounty of about $8,000 offered by the Islamic clerics to anyone who will kill her. Asia says she is content that her future is in God's hands and she will accept His will. Please remember Asia Bibi in prayer. Please pray that Asia's young daughters and husband will rely on the Lord as a source of strength and hope. Pray that Asia's forgiving heart will be used by God to inspire others to forgive and show love. Please pray that the ongoing petition for Asia hosted by VOM-USA at www.CallForMercy.com will help lead to her release. To watch a video interview with Asia’s family, click here. For more on persecution in Pakistan, click here. It has been suggested that 200 million people in over 60 nations face violent persecution because of their identity as Christians. 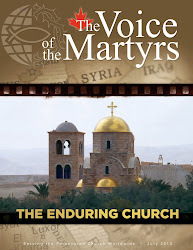 How many Christians are martyred each year? It is difficult if not impossible to say for certain.